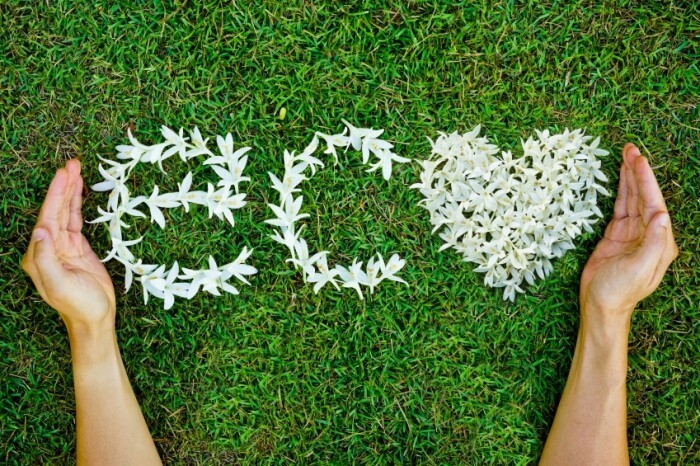 In this bhgrelife.com post, we learn just how easy it is to join the green movement and become an eco-warrior. For example, by improving the energy efficiency around home, you reduce consumption, conserving the planet’s resources and saving money at the same time. Installing a programmable thermostat lowers consumption and, surprisingly, a fully loaded dishwasher uses less energy than manual washing. Changing furnace filters and cleaning dryer lint traps regularly will improve operating efficiency and reduce consumption. Green landscaping ideas like composting, collecting and using rain water, pest control with natural products, using push mowers instead of gas or electric mowers and sweeping rather than hosing down the driveway all focus on avoiding hazardous chemicals and/or reducing consumption, waste and pollution. When decorating, use low-VOC (Volatile Organic Compound) paint and adhesives to reduce ozone pollution. Bamboo flooring is a sustainable product because it is made from the tree’s fast-growing bark. Even changing your eating habits helps: drink water from reusable, not disposable, bottles; buy foods in bulk to reduce packaging; buy local products to reduce transportation requirements (i.e. less gas used, fewer emissions). To read more click here.